I had to make this post a Teal Tuesday because of the gorgeous water. 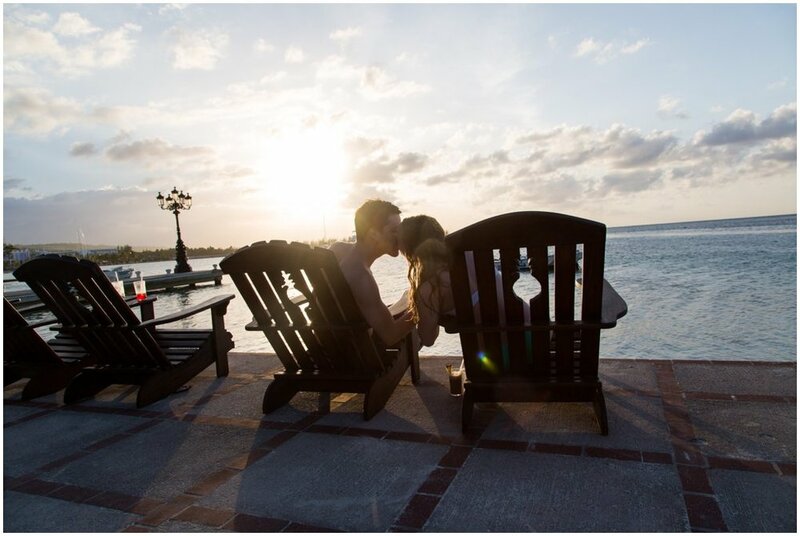 We landed in Jamaica in the early afternoon the day after our wedding and it was glorious. I tried not to take too many pictures and just relax on the beach but I did snap a few. 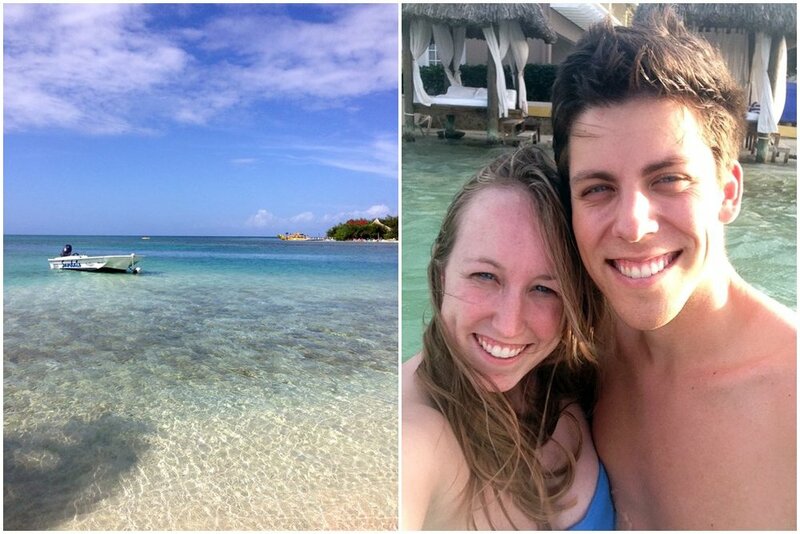 We went to the Royal Caribbean Sandals Resort in Jamaica!! While we were there, we went snorkeling, horseback riding in the ocean, ate delicious food, and of course laid out on the beach! It was a relaxing week after the stresses of planning a wedding in 4 months. And of course it was a blast to be with my new husband. We also had a mini photo session with one of the photographers there and a few of the shots turned out! I didn't want to get my nice camera wet while we were out on the water so we used an underwater camera. Let's just say I am definitely getting an underwater iPhone case next time we go somewhere tropical! One of the highlights was renting out this little cabana hut for the afternoon. We put the shades down on the side of the hut, looked out on the ocean, and read all day. They even brought us cheese and crackers for a little snack. This was also the day that Katelyn posted our wedding pictures. We secretly had wi-fi while we were there and had fun looking through the wedding post inside the cabana. Everyone in Jamaica was so nice and it was fun to make some friends while we were there. We went on a mini catamaran sailboat a few times with "Captain Jack" as he called himself. There were lots of other honeymooners there and a few weddings! We were at the resort on 11/12/13 which was apparently a popular day to get married. We met a sweet couple that got married that day and said they had been planning it for a few years! The week went by too fast but it was a blessing to be there. Enjoy these shots of paradise mon! We woke up for the sunrise one morning and it was GORGEOUS! Life size chess set! Chess is one of our favorite things to do together so that was fun. Kev took a little model shot of me. Pretty good Kev!! Looking at our wedding post!! !